and jump some more for over an hour. Boy, she totally thinks she's a rock star! LOVE IT!!! And speaking of 80's songs, rock stars and beehives (yes, there was a purpose to that silly title!)... 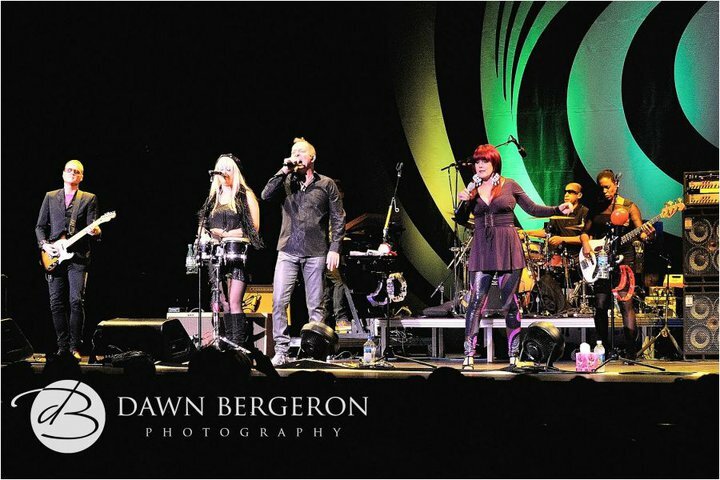 I went to see the B52s last Wednesday with a few girlfriends. Oooh, it was sooooo much fun! We partied like it was 19..... 89! 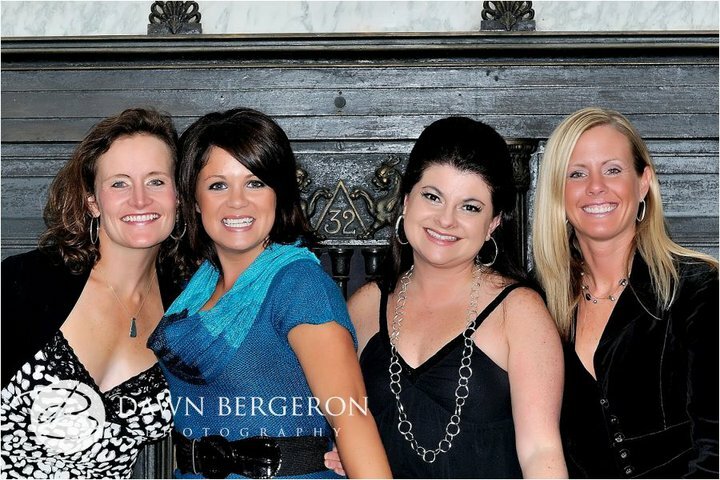 haha In this picture, Dawn, Nikki, me and Wendy. Beehive on my head courtesy of Em & Em! Yes, they can do hair too....BONUS! The fabulous Dawn Bergeron, photographer extraodinaire and sweet friend, took these amazing photos at the concert. And as much of a blast as we had during the show, the real treat came afterwards, when we got to meet singer Kate Pierson and get our picture taken. She was as short as Nikki and I, can you believe it?!? And super sweet to boot! Here's a little video clip I shot of my favorite song, Private Idaho! I LOVE that Em & Em do hair! congratulations on your cutie 6 year old, my oldest will be 6 in may and I'm not sure I can handle it, you do it with such grace and fun that I just may enjoy it too. Glad you had a good time with friends! Love it! Looks like Sydney had a blast and you as well!! Love Private Idaho, but I think I Prefer Roam if you Want to... good times, GREAT hair!! Sydney is just so beautiful! And it looks like they had a wonderful time! I love the idea of hosting the party at a 'baby-gym'! I'll keep that in mind for my babies' birthday parties. How fun! I love that Sydney's a little rock star! 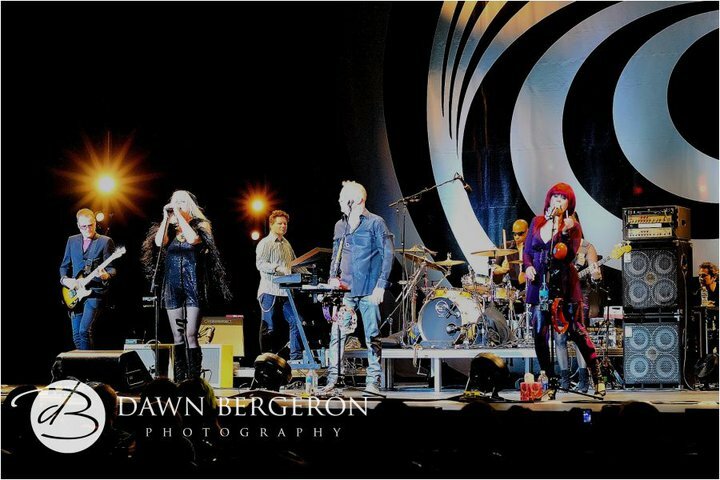 And how cool is it that you got to meet the B-52's! Happy Birthday Sydney! I feel like I watch you grow up on your mom's blog and I have to say I feel a bit "sniff" with your mom! My Kelsey would love your birthday party idea! I am going to check her gymnastics gym to see if she can have the same kind of party! Great idea! Patty,your hair is adorable! You are so Love Shack! Baby Love Shack! What a fun night out with friends! And so cool you got to go back stage! 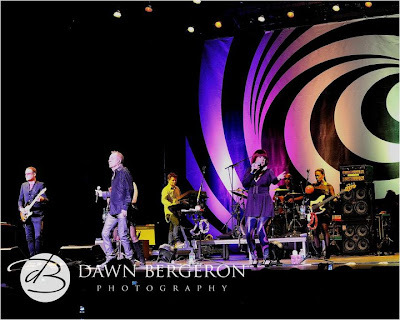 Now I am going to have B52's in my head the rest of the day. Love Sydney's pink dress! I'm about to go whip up the same pattern for my granddaughter's birthday-she loves the one I made before! Can't believe how much Sydney had grown since I started reading your blog, she is the spitting image of our daughter Angel who is now 22! As little ones they could have been twins! and the B52's, wow, didn't know they were still together, looks like you had a ball! HOW CUTE Patty! I love seeing pictures of your beautiful daughters! Sydney looks like she had an awesome day! My daughter's 6th Birthday was Sunday, 10.10.10 but we had her party on Saturday and at the kid's gym also. Too funny! It was the perfect place to have a party! LOVE LOVE LOVE you're new patterns, as always, can't wait to make them! !